Celebrating our Canadian history Royal LePage is a leader in Canadian real estate since 1913. Founded by Albert LePage when he was just 26 years old, Royal LePage now has nearly 14,000 agents across the country. And we firmly believe that you can only become a leader by being the best. 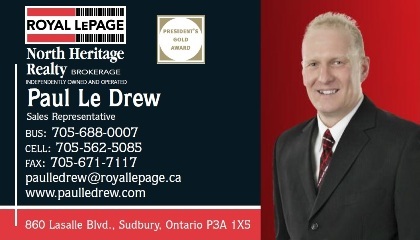 Hello, My name is Paul Le Drew and I am a Sales Representative with ROYAL LEPAGE REALTY. 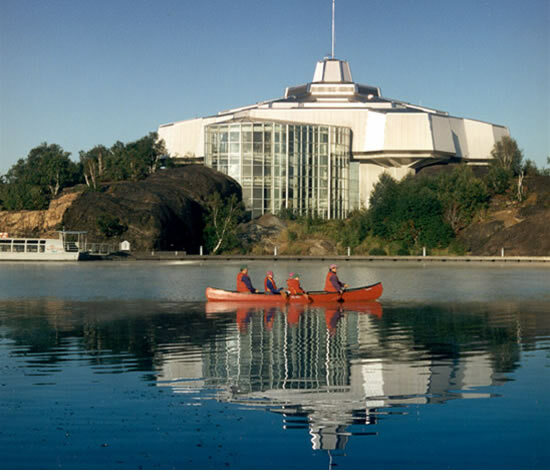 Sudbury is the largest city in the Northern Ontario region by population, and the 24th largest metropolitan area in Canada. By land area, it is the largest city in Ontario, and the seventh largest municipality by area in Canada. Greater Sudbury is one of only five cities in Ontario—the others are Toronto, Ottawa, Hamilton and Kawartha Lakes—that constitute their own independent census divisions, and are not part of any district, county or regional municipality. I would like to take this opportunity to Thank all of my Clients both past and present. Your Business is Invaluable to me and Very Much Appreciated. 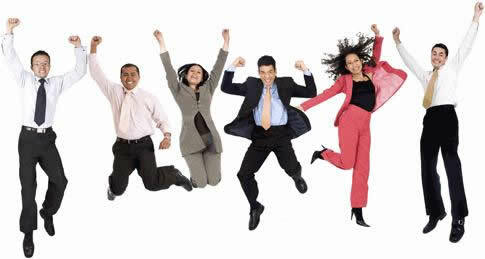 Please click on "more" for Client Testimonials!!! ROYAL LEPAGE North Heritage Realty Inc.